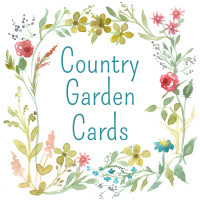 Greeting cards for every occasion featuring nature, flowers from the garden, and whimsical characters designed with ink drawings and watercolor paintings by Cathie Richardson. My Interests: Travel, photography, reading, walking/hiking, biking, Shakespeare plays, older movies, continuing to learn to new things. Hello and welcome to my greeting card shop! I have a variety of cards for all occasions with easy to navigate categories found in the left margin. You can change the wording inside any card just by clicking on the pencil icon below the card. Do you have a specific card request? Please email for card specifications and changes. Thank you for visiting my card shop! You have a lovely watercolor style and a nice variety in your store, Cathie. Beautifully done! Congratulations on your Design of the Day! It's a beautiful card and I love your work! Really gorgeous artwork, best of luck! I love your cards and store! And congrats on DOD! Keep up the good work. I really enjoyed my visit to your beautiful card store, Cathy! Cathy, your cards are indeed delightful. Congratulations on Design Of The Day! Hi Cathy I LOVE your cards and your artwork s so beautiful! Well done, its gorgeous! Your gallery is so pretty Cathie, truly like walking through a country garden! I really enjoyed looking through your cards. You seem to have such a nice touch! I love your art! There is something very heart-warming about it. You have a wonderful talent, keep up the great work! Cathie, I just found your store and am soaking up your art...it is very refreshing and pleasing. Best of luck from a fellow artist. Just wanted to stop by and let you know that you are one of my favorite artist's here at GCU. I love the soft tones and unique character that each of your cards exibit. Keep up the great work! Cathie, your cards are beautiful! All very quiet and soothing.